Someone on nvidia forum stated that nicehash uses low level access to the GPU. Can the low level access of aida64 be changed into an indirect level access? I have freeze and than BSOD with latest nvidia driver + aida. If I use an older driver or if I close AIDA the problem does not happen. Just chiming in, I've been experiencing similar crashes with a similar monitoring tool (GPU-Z). See my reports (and minidumps) over at the Techpowerup forums or the Geforce board. I've ruled out pretty much everything, it's definitely something wrong in the latest series of Nvidia drivers. They are all ticked active. For my sensor panel, the PCI and SMBus are not relevant, so I disabled them(unticked). So far I was not experiencing the freeze anymore using combination of nicehash v2 and google chrome using Nvidia drivers 391.35. Could you try at your side sblantipodi and Forceflow ? not nicehash itself, the claymore binary and a few others have nvapi interaction to monitor card thermals and disable p2 cuda. Do you know how to disable nicehash v2 low level accesses? I twitted nicehash but got no answer. so only the low level SMB is unticked at the moment. I don't, not without recompiling the claymore binary. so far so good at the moment with the SMB unticked. Are aida64 devs not responding anymore? Fiery is a busy man. A third party driver was identified as the probable root cause of this system error. It is suggested you look for an update for the following driver: aida64.sys . A couple of hours of leaving AIDA64 open which was entirely accidental. Can you help Nvidia to reproduce it such that they fix the issue at their end? Downgrading to such old driver is not an option as programs like nicehash2 and miners don't support it anymore. Since the issue affects any software that uses NVAPI (nVIDIA's own API), it should be pretty easy to reproduce it in nVIDIA's own labs. We can however be of assistance if asked. We're always open to work with hardware manufacturers, but nVIDIA is not famous for being open to such cooperations I'm afraid. 391.35 are fine too and I can use nicehash2 with it. nvidia are still claiming no repro, so i think they are missing a particular configuration requirement to bring it out. Or Could they bring us a debug drivers version that can show them more data when crash occurs? I have been having an issue for the last 2 driver releases 397.93+397.64 where Windows is hanging/freezing constantly. 30 seconds after I log into Windows, roughly around the time Aida64 loads, it will hang for like 5 minutes. Then it will be fine, but it will freeze again and again later for a few minutes each time. There does not seem to be anything related to the drivers in the event viewer at the time of the hang. 391.35 works perfectly and I keep having to roll back to it. I have done the driver upgrades with DDU, and also without my SLI bridge. Nothing is helping. I have 2x 1080 TI in SLI. When BSOD comes, this is when it freezes longer. 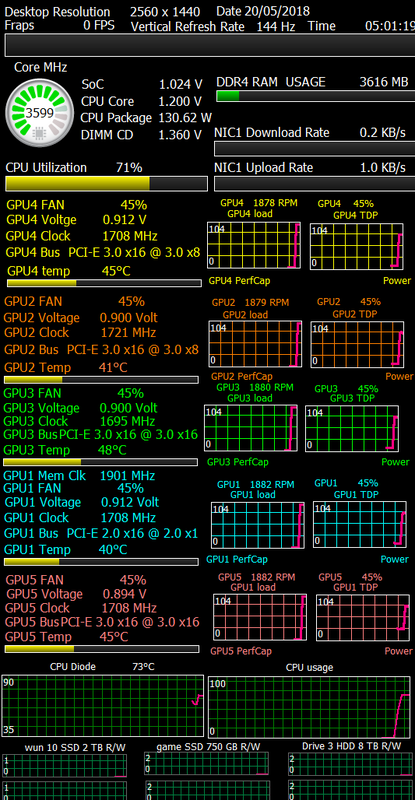 My motherboard is Asus B250i ITX, Asus Strix B250I Gaming (1 PCI-E x16, 2 M.2, 2 DDR4 DIMM, Audio, Video, Gigabit LAN, WiFi), The current version and beta 5.95.4512 does not detect any motherboard fans, mobo temp and the CPU temp (not core temps) .